As with the Fendi scheme which we included yesterday, this one at LV is another which we haven't come across before. Very little product here has been included against what looks like coloured glass (we don't know for sure) in a radiating format. 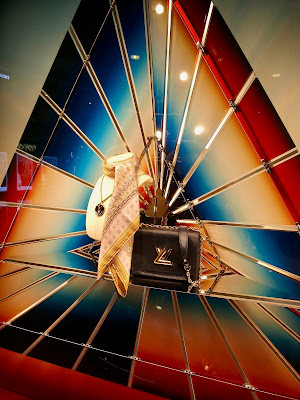 Both the Fendi and the LV schemes were spotted at the Marina Mall. 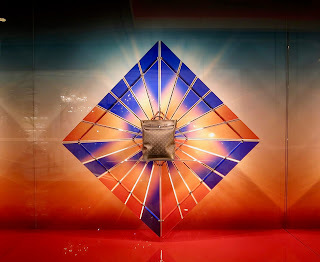 This is not the most exciting city in the world (ultra conservative is not our thing) however we will share with you some of the delights from the Dubai Mall shortly.